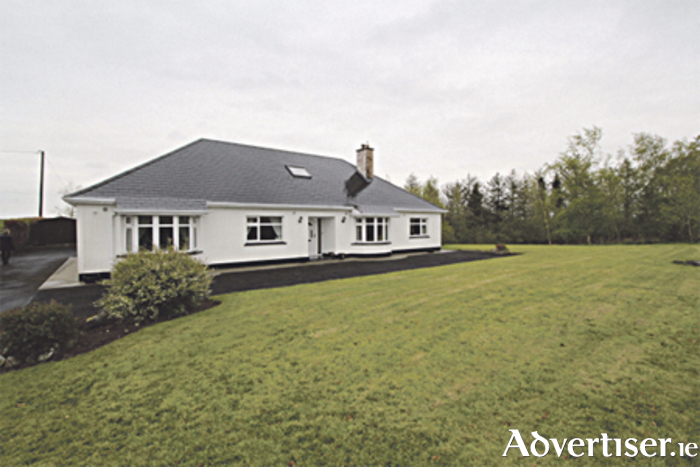 This stunning family home invites you to live at ease away from the noise and bustle of town life yet is just a short, scenic drive from the town of Athlone with its myriad of wonderful amenities. A six-bedroom detached residence of style, filled with light and ambience, is nestled in the ever-desirable Kilkenny West, Glasson, vicinity and is within easy reach of many fine dining restaurants. The front of the property is approached via a wraparound tarmacadam driveway and is set amid extensive gardens with manicured lawns and private patio. There is also ample parking for a number of cars. The pristine family home has been decorated with taste and flair throughout and boasts bright and spacious accommodation. Act quickly to view this superior residence in this highly sought-after location. For more information contact DNG Begley on (090 ) 6491531.